The first time I ever visited a prison was in the year of 1969 when I went to visit in Mountjoy gaol in Dublin which I only knew about from the song Kevin Barry. I was a student in Maynooth at the time. I was asked to go to visit a young lad from Fermanagh who was arrested in Clones and accusing of being Drunk and Disorderly. I found him in an agitated and frightened state. Some of the older prisoners told him, in a joking kind of way, that he was going to be hanged –and being an innocent sort of fellow, he actually believed them. I assured him as best I could that no way was he going to be hanged. I reported back that I felt that the man needed medical help if he was going to survive. He did receive some help and he was soon released from custody. Ever since then I have a great deal of sympathy for those in prison especially the more vulnerable people like the young man from Fermanagh. A few years later in 1971, I found myself a frequent visitor to Long Kesh where many men were interned without trial at her majesty’s pleasure. Some of these had been cruelly tortured. Their case against the British government is going through the courts at present. In the years after 1971 I was also visiting prisoners in Armagh and Crumlin Road and Magiligan prisons – all of which carry the prefix HMP. For some years in the early 1970s I was one of a team of priests who went to Long Kesh on Sundays to say Mass in the different compounds in which the internees were being held. It was a real learning experience about life inside of a prison. They were being held without any idea if or when they would be released. It was of the utmost importance to them that they were recognised as political prisoners. It was when that recognition was withdrawn by the British Labour government in 1975 that the prisoners began a protest which culminated in the hunger-strikes in 1980 and 1981. Ever since that terrible experience I have been more aware of the importance of caring for those in prison and making sure that they receive the support and help they require in terms of educational and medical support. A recent call by Pope Francis for more attention to be paid to prisoners and the conditions in prisons made me think that this is a subject that is rarely discussed in the media or in the Church or by politicians. Only when something disastrous happens, as happened recently in Brazil, do we even think about prisoners. The rest of the time they are out of sight and out of mind. Last month in three prisons in different parts of Brazil almost 100 men were killed. Most of them were serving sentences relating to drugs. In one prison 56 prisoners were killed in a brawl. There is often tension in prisons because they are overcrowded. Also people inside feel they are being unjustly treated because they are not used to being locked up and kept under surveillance and because contact with family is limited to a visit each week. Nowadays, there is the added problem of drug abuse and the issue of drug addicts being put behind bars. It can become an explosive situation. Chaplains from the different churches and congregations are very much aware of the problems and tensions and do their best to relieve these but sometimes the situation is out of their control. 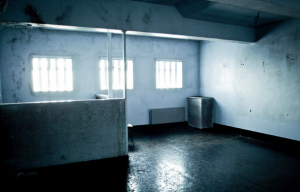 The three main prisons in the north are Magaberry, Magilligan, Hydebank. The average daily prison population during 2015 was 1,661; this was a decrease of 9.2% from the previous year and was the first time since 2010 that the prison population decreased. The average daily prison population decreased for males and females, the male population fell by 9.0% (1,763 to 1,605), whilst the female population decreased by 16.4% (67 to 56). The largest proportion of the prison population was aged between 21 and 29 years (35.1%). There are 17 prisons in the South/Republic with capacity for 5609 prisoners. There is often overcrowding in some of these. I applaud the people who work to make the prisons humane places of rehabilitation for those who are being held. There should be greater emphasis on rehabilitation and there should be more resources for this purpose in the prisons throughout Ireland. 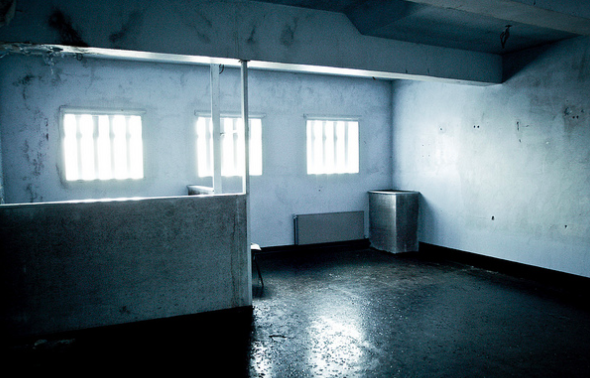 The Christian churches must always make the treatment of prisoners a primary concern. The Gospel says so. i applaud the people who work to make the prisons humane places of rehabilitation for those being held……………would screws be among the people you applaud. It takes a certain mentality to be a prison warden – a sort of frustrated army officer or teacher. It is a necessary job in most societies but so is unblocking the sewers. I don’t think it is a vocation to aspire to and in this part of Ireland is particularly distasteful where wardens are on opposite social sides of the fence from their charges. I suppose you could resurrect the old reason that they had to have a job and feed their family – like the Irishmen who were sucked into the War of the Cousins in 1914. In the north, the old saying was ……. Too stupid to get into the police and too smart to get into the UDR. Did you condemn the many attacks, including murders, against prison warders by the PIRA and more recently successor IRA organisations?